Altena is a town in West Germany with about 17,000 inhabitants. It is famous for its castle, where the world's first youth hostel was established inside the castle in 1912. Another famous building and listed monument has used as a cinema since 1924, today known as Apollo Service-Kino. Originally the house was built as a silversmith in 1901 in the middle of the street, later used as an inn. The cinema is famous for high quality of entertainment and service. 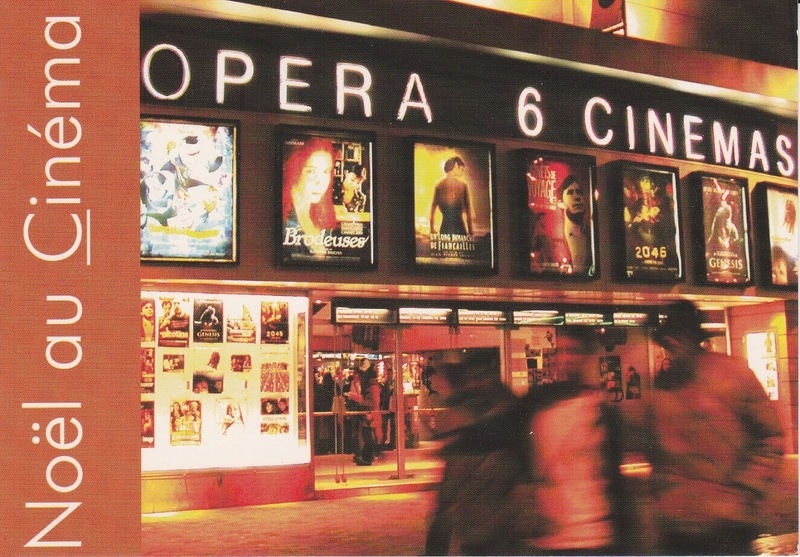 The management won in 2002 and 2003 the German Cinema Manager Award for extraordinary marketing campaigns on films. 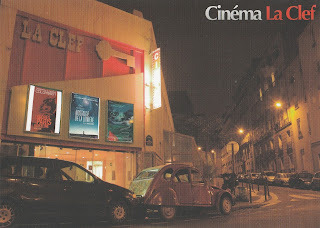 Cinema de Luxe. I got this postcard via postcrossing from Conny. She loves herself this little cinema island with its good old cinema feeling. 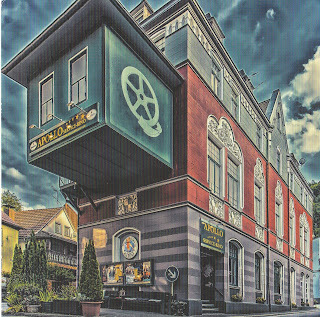 The postcard was painted by cinema's owner Nicole Güldner. Danke, Conny, für die Postkarte!